Does your Commercial / Industrial / Restaurant roof leak? Do you have to install plastic covers or tarps to protect your expensive machinery? Does water damage your office computers and equipment? Is your product inventory being destroyed by roof leaks? Do you lose business space, restaurant seating, and production capacity due to your old, leaking flat roof? Does your black rubber or Tar & Gravel roof make the AC run continuously, while it is still hot inside? A leaky roof creates major problems for many businesses, leading to thousands of dollars in lost revenue, replaced and damaged inventory/equipment, lost business productivity and lost business space. Financial losses don’t stop there, as you also need to factor in repetative roof repairs and costs associated with future replacement rotted decking, wet insulation, and disposal of old roofing material. As you can see in the picture below, these business owners had to protect their VERY expensive machinery with plastic sheets just so water does not destroy it. We can help you stop those leaks once and for all with IB PVC Roof – our flat-roofing product of choice – and we will back it up with our comprehensive guaranty that you will not have any more leaks. IB Roof was created with the commercial / industrial flat roofing market in mind, and will work on the most complicated flat roof you can think of. Learn more about the benefits of IB PVC commercial flat roofing. If your flat roof has inherent leaks and water drainage problems, as well as devastating ponding water after every time it rains, it is no problem for IB. With Commercial warranties up to 25 years and a proven track-record of over 30 years leak-free performance, an IB roof will be the last roof you will ever need.The reason for IB’s superior durability and longevity is its hot-air welded seams. There is no glue used in the installation and once welded, the two sheets of membrane become one. These seams are completely watertight for life, and even ponding water is not an issue. In fact, IB is the only roofing system on the market that comes with an explicit ‘Ponding Water Warranty’. By contrast, manufacturers of other flat roofing products will void their warranties if a leak occurs as a result of ponding water. An IB PVC flat roof is also easy to repair if damage ever occurs – be it tomorrow or 20 years from now – it will remain fully weldable. Consider installing IB ChemGuard – the only chemicals, oil and grease resistant roofing membrane available on the market. It is the perfect choice for any restaurant or industrial manufacturing facility, where chemicals may be present on the roof. 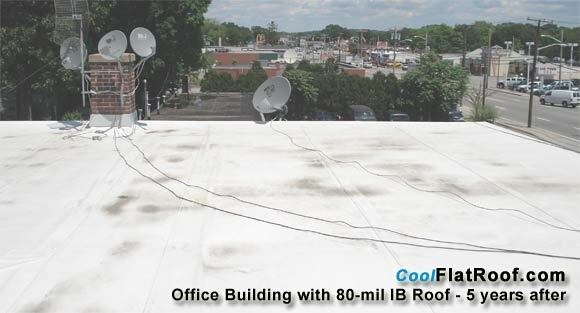 IB Cool roofs reflect over 90% of solar radiation and on a 90 degree day, a White IB roof will only heat up to about 95 degrees. Compare that to 160-170 degrees for a black rubber ( EPDM ) roof. 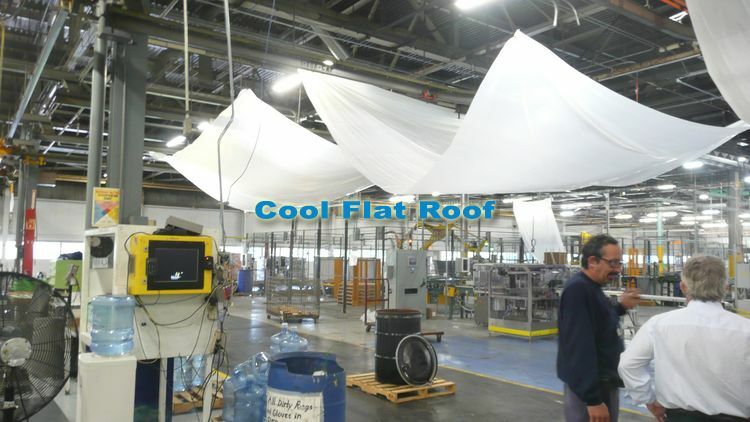 These excellent ‘Cool Roof’ reflective properties can lower your AC energy consumption by as much as 20%, and with the addition of High-R insulation, it will be less expensive to heat your building. An IB Roof can also be upgraded with IB SolarWise – a Building-Integrated Solar PV system, created by IB and Uni-Solar. Such an upgrade can be done at any point in time after the original IB roof is installed, without compromising roof integrity. IB SolarWise is light-weight, and requires no additional structural reinforcement, nor does it need any mounting brackets or railings. In fact, SolarWise gets welded right to the IB membrane, and all that has to be done after is the electrical connections! IB SolarWise is the Least Expensive solar system on the market, and has the highest ROI. Not only are IB roofs perfect for commercial buildings in terms of water-tightness, longevity and performance, they are also friendly for the environment. They feature a white membrane that will reduce the CO2 and other Green-House gas emissions by reducing your energy consumption for Air Conditioning. An IB roof is also a perfect choice for creating a Green Roof or a Roof-top garden, which, in an urban environment will reduce the “heat island” effect and will increase the productivity of your office workers, as proven by multiple studies. Another great feature of IB roofs it that they are 100% recyclable. This means 30 years from now, if you decide to get a new roof, the existing one will not go to our nation’s landfills. Instead, it will be recycled and reused for other PVC products such as vinyl siding, PVC pipes and conduits, etc. Excited About an IB Roof? Don’t Wait Any Longer! If your roof is located anywhere in Massachusetts, Connecticut, Rhode Island or other New England states, fill out our Free, no obligation Online Roofing Estimate or call us at 617-444-9020 and we will come up with the best solution to fit your needs and budget. 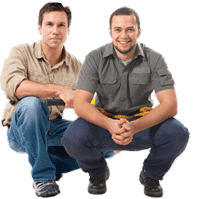 If you are outside of New England, go to www.IBRoof.com and fill out their Contractor Referral form or call 1-800-426-1626, to speak with IB Customer Service, and find an IB Contractor in your area. Remember, that an IB roof is the MOST economical commercial flat roof when you consider Total Roofing Cost. If you want to know what a new IB roof will cost, check out our Roofing Cost Estimator – bear in mind, that prices estimated by our calculator refer to Residential Flat roofs. You can generally expect a lower price for your commercial flat roof, as the ‘economy of scale’ factor kicks in. This information will be valuable for architects, specifiers, building managers, property owners and maintenance personnel looking to have an IB Roof installed. For additional product information you can also download IB Commercial Brochure and IB ChemGuard Brochure. IB Roof Systems is proud to be an Energy Star™ Partner. I’m opening my own roofing company. I own my own tree company. I’m trying to figure out how much to charge for a flat roof. Please call me asap. Thank you. You can also text me.